Cleats & Couture: I Passed! I wanted to come up with a really clever title for this post, but the level of cloud 9 I'm on has prevented me from doing so. 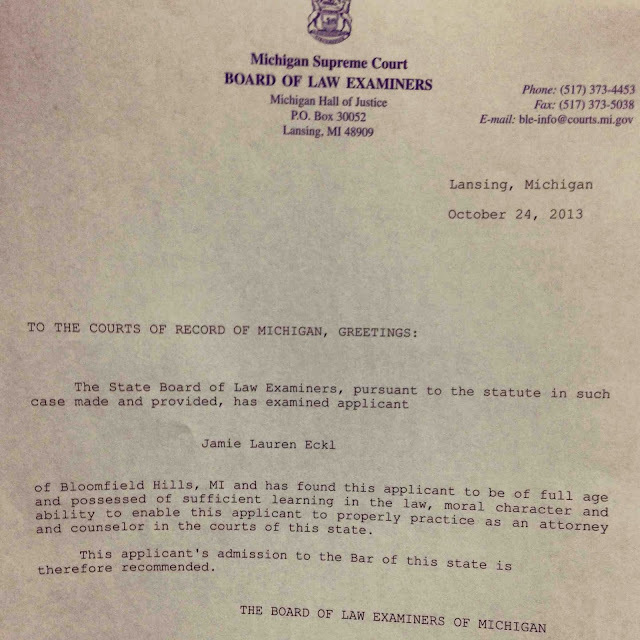 Incase you don't know me in real life or follow me on any other form of social media, I PASSED THE BAR EXAM! It is still so crazy for me to say that out loud (or in this case, type it). It's something that has been a part of my future plan for so long that I cannot believe I've finally accomplished it. After four years of undergrad, three years of law school, and three months of complete agony studying for this exam, I'm finally done & I couldn't be happier. 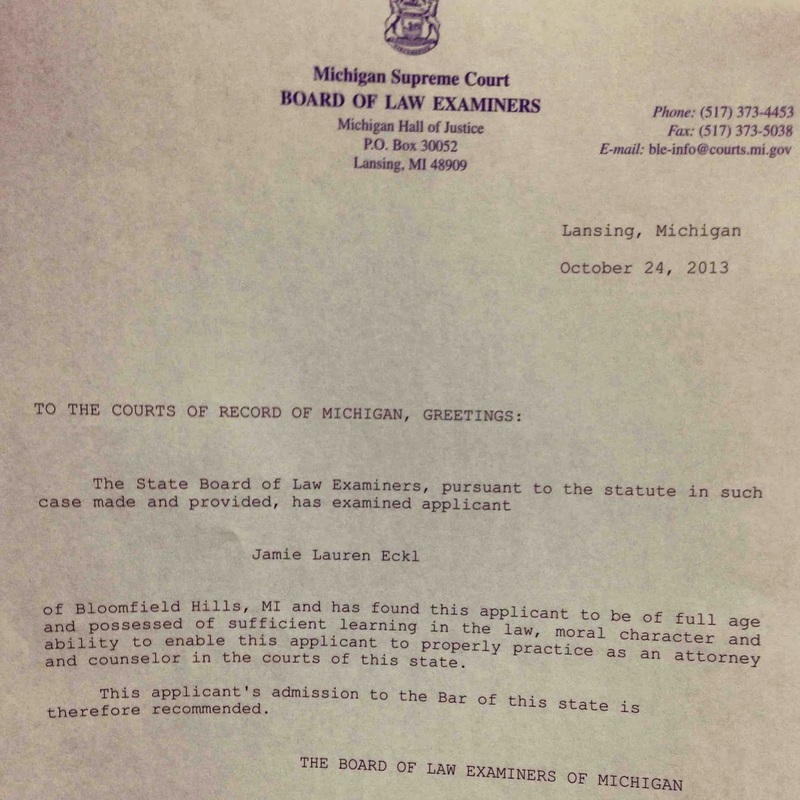 My official letter from the Michigan Supreme Court - I'm a lawyer! In the spirit of having the best week ever, my sister is coming home for a celebratory dinner and then I'm taking a little impromptu trip to Raleigh-Durham this weekend to visit Ben to celebrate with him for a few days! To anyone who is reading this that has been a part of my life through any of this process, thank you so much for all of your support. You have no idea how much it means to me! Thanks seeeeester! Love, your seeeeester attorney! Congratulations! I am also an aspiring law student, I have started with TestMax Bar Exam Prep but I would also want to know from you how you managed to clear it? Can you help me with the routine? How many hours of self-study is needed to clear the bar exam?